Chinese actress Zhou Xun has been busy promoting environmental protection since she was chosen as a UN goodwill ambassador in April. The newspaper Shanghai Morning Post reported on Saturday that Zhou has become an official of the United Nations and will receive a symbolic annual salary of one U.S. dollar. Zhou said the dollar was only a token payment and that she took the voluntary job because of an obligation to promote environmental protection. 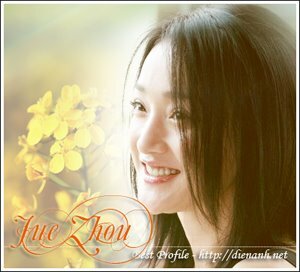 Besides recording environmental protection information for radio programs, Zhou has been featured in cover photos for "Time Out" magazine and has provided environmental protection tips as one of the publication's guest editors. In the meantime, she has been busy arranging a relief plan for the victims of the May 12 earthquake in southwest China. The United Nations Development Program appointed Zhou as a goodwill ambassador on April 22 at a charity gala in Beijing to commemorate World Earth Day.